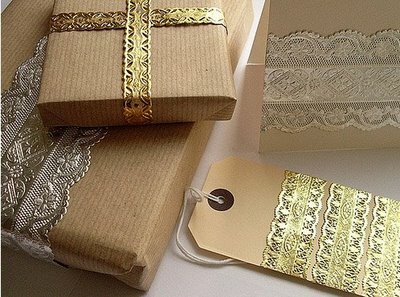 I have been exploring gift wrapping ideas over the last couple of days, as I'll be doing all the gift packing for my cousin's wedding in India. 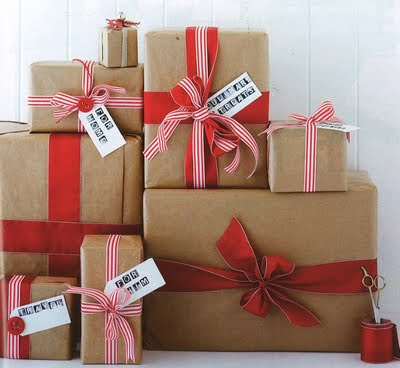 Also, its Christmas time and many of you might be busy packing your gifts and some some of these ideas might be useful. What really catches my fancy is the use of brown paper. 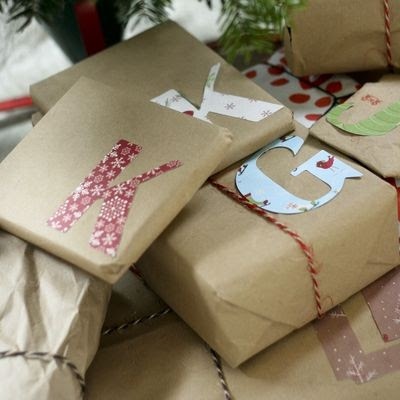 The simplicity of the paper makes any decorations stand out. I especially like the combination of gold with the brown. 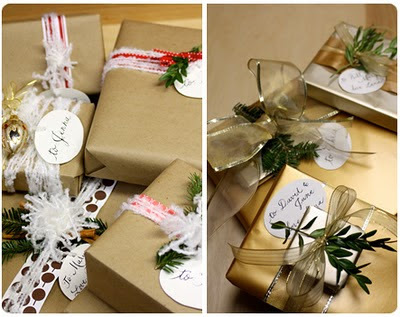 My favorite is the first one, embellished with gold ribbon and some fresh green leaves. The one with the cut out alphabets pasted on to the brown is my second fav. Which one is yours? 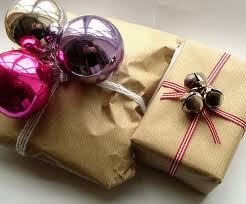 PS: Will surely share with you pictures of the final gift wraps. 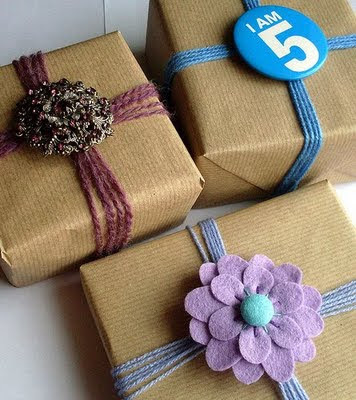 PSII: In the last week or so, I came across some very unique gift wrapping ideas on the blogosphere, the one that I distinctly remember is a gift wrapped with a calendar page and the special date circled. I really tried hard to find that post, but with no luck. If any of you knows where that was, please let me know the link to that. Thanks. Love this post Neha...I'm using newspaper comics this year---eco friendly and colorful+fun! Thanks. Newspaper is a good idea..I like that one too. Because this makes me happy!